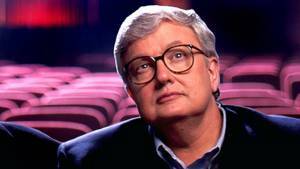 Roger Ebert, the most famous and most popular film reviewer of his time who become the first journalist to win a Pulitzer Prize for movie criticism and, on his long-running TV program, wielded the nation’s most influential thumb, died Thursday, the Chicago Sun-Times reported. He was 70. Ebert had been a film critic for the Chicago Sun-Times since 1967. He had announced on his blog Wednesday that he was undergoing radiation treatment after a recurrence of cancer. He had no grand theories or special agendas, but millions recognized the chatty, heavy-set man with wavy hair and horn-rimmed glasses. Above all, they followed the thumb — pointing up or down. It was the main logo of the televised shows Ebert co-hosted, first with the late Gene Siskel of the rival Chicago Tribune and — after Siskel’s death in 1999 — with his Sun-Times colleague, Richard Roeper. Although criticized as gimmicky and simplistic, a “two thumbs up” accolade was sure to find its way into the advertising for the movie in question. He was teased for years about his weight, but the jokes stopped abruptly when Ebert lost portions of his jaw and the ability to speak, eat and drink after cancer surgeries in 2006. But he overcame his health problems to resume writing full-time and eventually even returned to television. In addition to his work for the Sun-Times, Ebert became a prolific user of social media, connecting with fans on Facebook and Twitter. The thumb logo remained the property of Ebert and Siskel’s widow, and in early 2011, Ebert launched his new show, “Ebert Presents At the Movies.” The show had new hosts, but featured Ebert in his own segment, “Roger’s Office.” He used a chin prosthesis and enlisted voice-over guests to read his reviews. Ebert joined the Sun-Times part time in 1966 while pursuing graduate study at the University of Chicago, and got the reviewing job the following year. His reviews were eventually syndicated to several hundred other newspapers, collected in books and repeated on innumerable websites, which would have made him one of the most influential film critics in the nation even without his television fame. Ebert’s breezy and quotable style, as well as his knowledge of film technique and the business side of the industry, made him an almost instant success. He soon began doing interviews and profiles of notable actors and directors in addition to his film reviews — celebrating such legends as Alfred Hitchcock, John Wayne and Robert Mitchum and offering words of encouragement for then-newcomer Martin Scorsese. In 1969, he took a leave of absence from the Sun-Times to write the screenplay for “Beyond the Valley of the Dolls.” The movie got an “X” rating and became somewhat of a cult film. Ebert’s television career began the year he won the Pulitzer, first on WTTW-TV, the Chicago PBS station, then nationwide on PBS and later on several commercial syndication services. Ebert and Siskel even trademarked the “two thumbs up” phrase. And while the pair may have sparred on air, they were close off camera. Siskel’s daughters were flower girls when Ebert married his wife, Chaz, in 1992. Ebert was also an author, writing more than 20 books that included two volumes of essays on classic movies and the popular “I Hated, Hated, Hated This Movie,” a collection of some of his most scathing reviews. The son of a union electrician who worked at the University of Illinois’ Urbana-Champaign campus, Roger Joseph Ebert was born in Urbana on June 18, 1942. The love of journalism, as well as of movies, came early. Ebert covered high school sports for a local paper at age 15 while also writing and editing his own science fiction fan magazine. He attended the university and was editor of the student newspaper. After his graduation in 1964, he spent a year on scholarship at the University of Cape Town in South Africa and then began work toward a doctorate in English at the University of Chicago. Ebert’s hometown embraced the film critic, hosting the annual Ebertfest film festival and placing a plaque at his childhood home. Ebert also was embraced online in the years after he lost his physical voice. He kept up a Facebook page, a Twitter account with nearly 600,000 followers and a blog, Roger Ebert’s Journal. The Internet was where he forged relationships with his readers, posting links to stories he found interesting and writing long pieces on varied topics, not just film criticism. He interacted with readers in the comments sections and liked to post old black-and-white photos of Hollywood stars and ask readers to guess who they were. This bio was created by writers of the associated press and appears in numerous media outlets on Mr. Eberts passing.